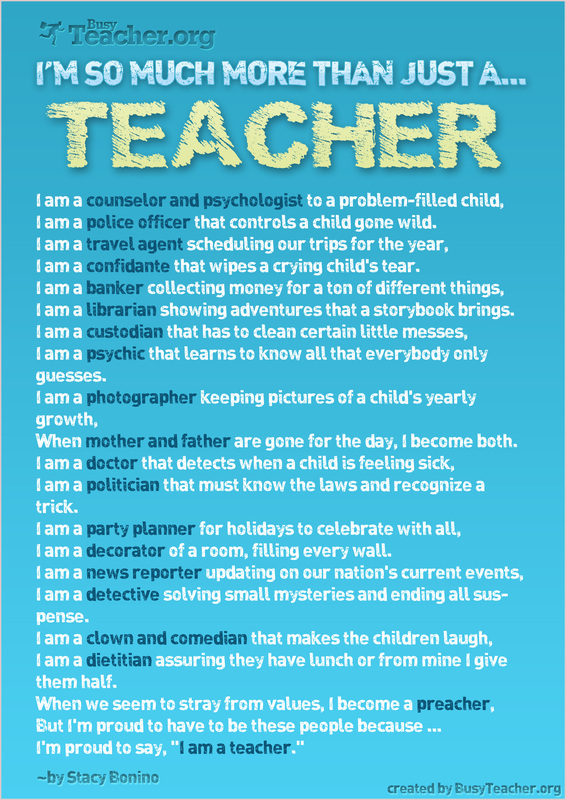 I'm So Much More Than Just A Teacher! Print this out and put it up in your Teacher's Room - it's guaranteed to keep you motivated every working day! Every time you feel exhausted - look at the poster and remember how many great roles are playing every single day!